www.Newsmax.com released their list of "The 50 Most Influential Local Talk Radio Shows in America" and one San Diego host made the cut. KOGO's Chris Merrill, host of 'Merrill @ Night, 7-9 on AM 600, was the only San Diego talk show host to make the list, grabbing the #45 spot. The syndicated show "Armstrong and Getty" also made it in, but Merrill was the only local talker on the list. Merrill is also on 550 KFYI in Phoenix 4-7. 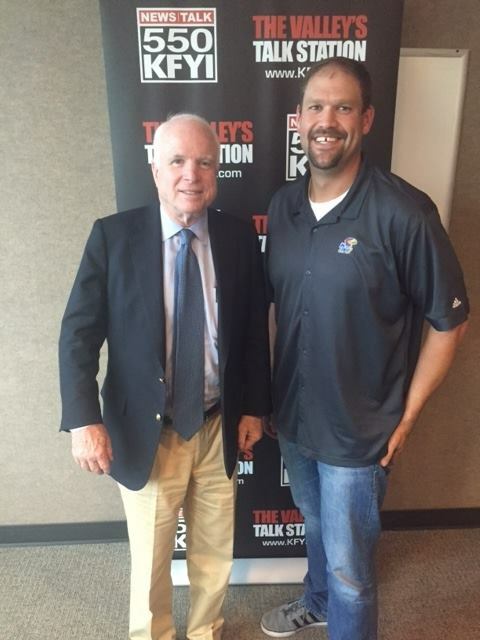 Wednesday Merrill was joined by Sen John McCain.